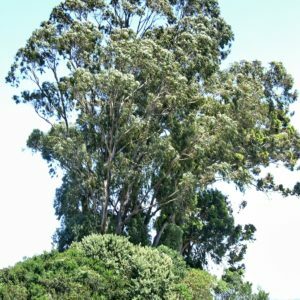 Originally imported from Australia and grown for support poles for the mines these magnificent trees, lining links Drive for over 50 years, are a landmark in Knysna pointing the way to Leisure Isle. However they are now classified as invaders category 2 which means a permit is required but as a street lining tree it is exempted. 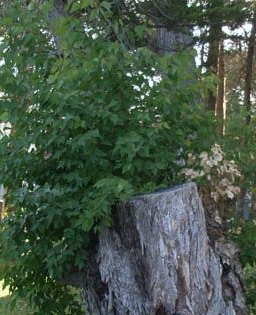 Over the past 5 years a few trees were up-rooted by winds whilst 3 died and were removed in 2007. The trees seem to be gradually dying-off and this can be seen at the east end of Links Drive (near the telephone booth) where one of the larger specimens is stone dead.